Gina Pantastico and Michelle Engel Bencsko met while working in the garment industry. They worked together for over 10 years, and continued to stay in touch even after their paths diverged. 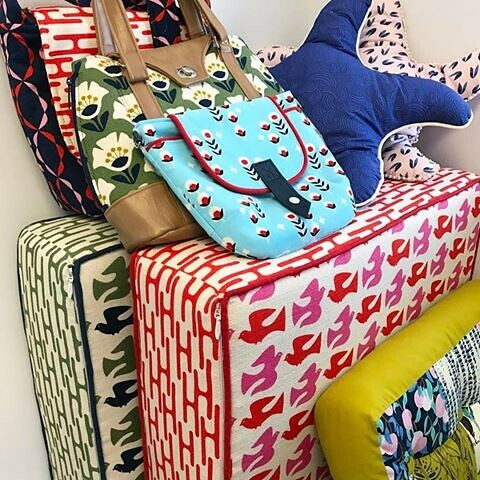 Eventually the two women began to speak about starting their own fabric company, and 8 years ago Cloud9 Fabrics was formed. 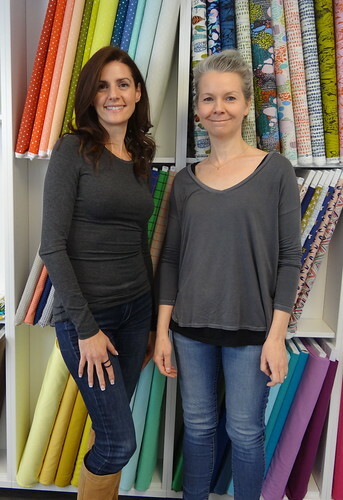 Michelle and Gina set their company apart by only working with organic fabric, an eco-friendly option that was important to them. The company was started in Gina’s garage in Cranford, which functioned as their warehouse. Eventually the business outgrew the garage, and then another space, before the partners finally found the perfect home in the Riverfront building on South Avenue. They chose to have their business in Cranford not only because they both live nearby, but also because they recognized Cranford as a thriving town that offers good foot traffic and a convenient location. Michelle is the Creative Director of Cloud9, while Gina is in charge of Operations. The designs Cloud9 puts out are split about 50/50 between in-house and designer collections. The designers who collaborate with Cloud9 are often found through connections or are sought out after sharing their work on social media. Once artwork is submitted a sample will be made by the mill, and Cloud9 will go back and forth until the finished product is perfect, a process that takes about 5 months. Once it’s completed the fabric will be sold at stores nationwide and abroad. Cloud9 Fabrics first made a splash in the fabric business when Gina and Michelle rented a booth at Quilt Market, a trade show that bring in people from all over. People were drawn to the fresh look of their brand, and in time came to know Cloud9 Fabrics for its consistency. The company puts out patterns in a number of different cloths and fabrics, including flannel, canvas, knit, corduroy, and voile. In 2009, when the company first started, quilt making was the trend. 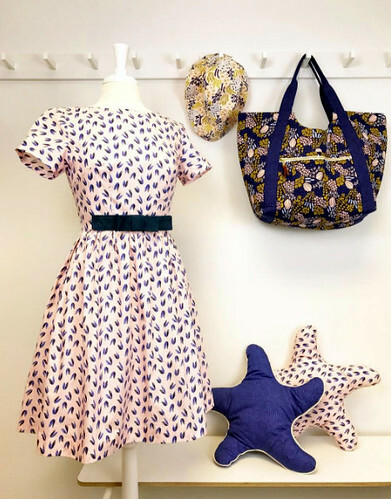 However, in the last 2-3 years the company has morphed into one that focuses on apparel sewing, allowing it more creativity when it comes to patterns and colors. The fact that Cloud9 Fabrics chose to have its headquarters in downtown Cranford is something we’re extremely proud of. There is so much more to downtown than meets the eye!